Here is a cover I did years ago of a Muse song. It was one of my favorites on the album Absolution, and after hearing it several times I realized, “Hey, this chorus progression is totally like an R&B, smooth, hold me sweetly vibe!” So I wanted to hear it slowed down, and this is where my version ended up going. I have fond memories of the upright piano in this recording, which I bought at a local thrift store for 75 bucks. The overall tuning of the piano was a half step below pitch so I just decided to leave it there for good, which really made a drastic shock to my brain. I’d sit down and play just a nice solid B chord for example, and all of a sudden that chord sounded completely different to what I was used to- since it was coming out as a B flat sound. That strange feeling on that upright had a huge part in inspiring several of my tunes, like by my side, poison, and further away from you. 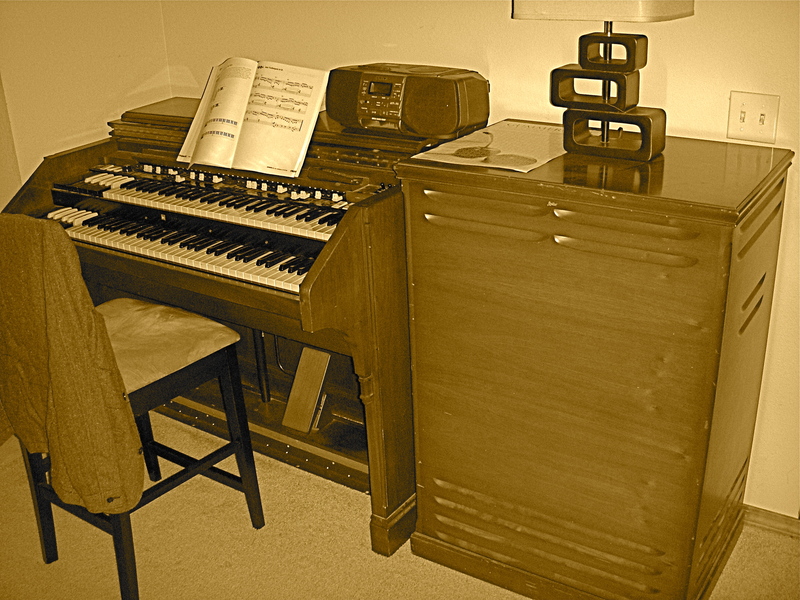 I also really like the hammond b3 effect on this track (pictured below)- which had a broken vibrato option on it. And when you flipped it on it ended up skipping the sound, which some have labeled a “motorboat vibrato” feel. 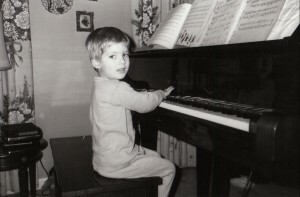 The other pic doesn’t have much to do with the song- except that it’s me as a lil’ lad, preparing my brain for the ability to take a very, very fast song and make it very, very slow. This entry was posted in Tunes on August 10, 2011 by Todd Gummerman.